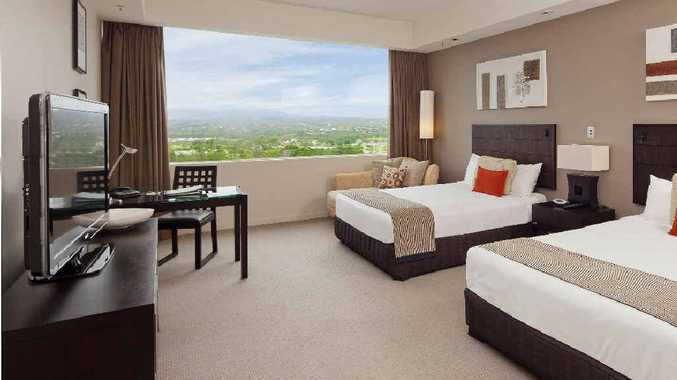 Rooms at the RACV Royal Pines Resort are comfortable and well appointed. PROVING you don't need to travel too far to have a great short escape, my parents and two of their nearest and dearest took off for a weekend of golf, food and spa at RACV Royal Pines Resort, on the Gold Coast. My dad is the keenest of golfers and was excited to be out on the stunning Royal Pines course, home of the Australian Ladies Masters. Mum loved the luxurious spa treatment at the world-famous One Spa, and spent the rest of the weekend relaxing by the pool or strolling around the beautiful grounds. But the real hit of the weekend was the food. And the star of the food show was three course progressive dinner where diners have a course at each of the resort's dining venues (starting with sushi in Arakawa Restaurant, followed by a seafood buffet in Kalinda Restaurant, and dessert in the stunning Videre Restaurant on level 21). At $59 this was described by all four travellers as the highlight of the weekend, and an experience not to be forgotten.